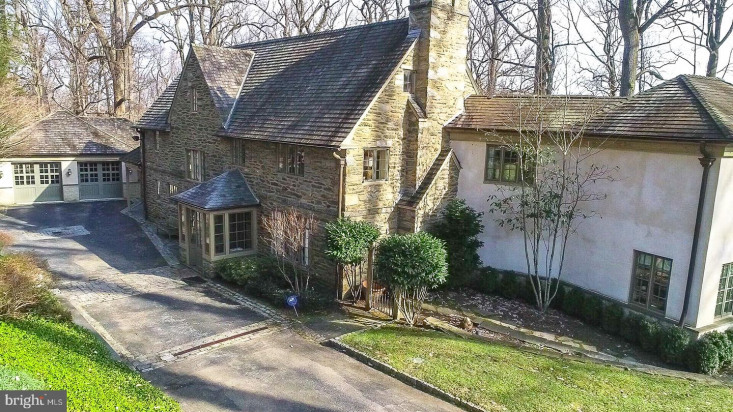 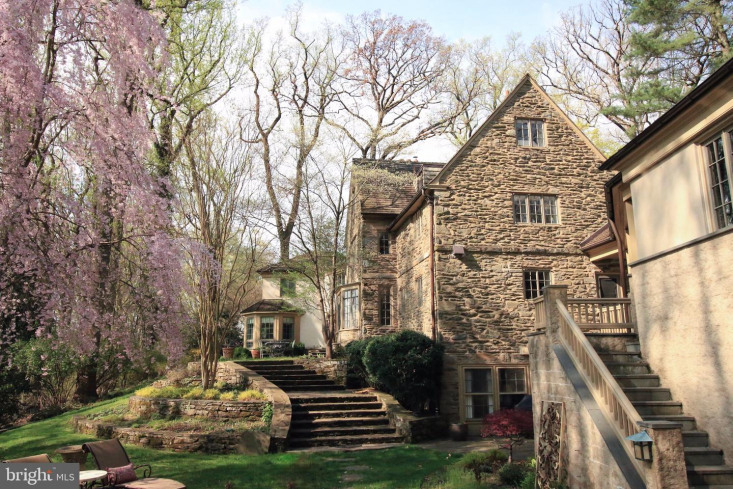 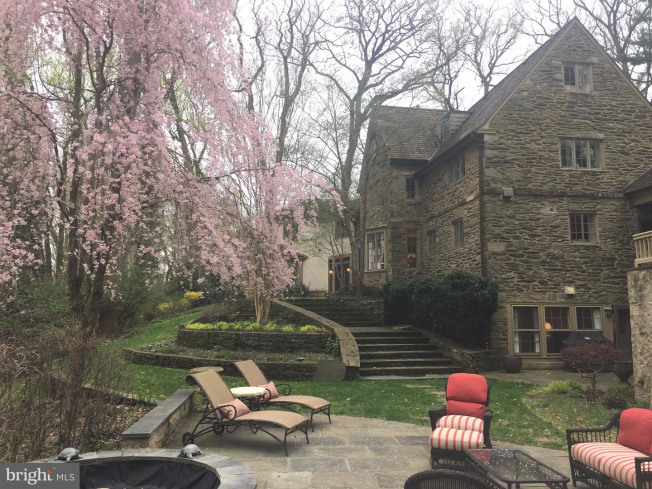 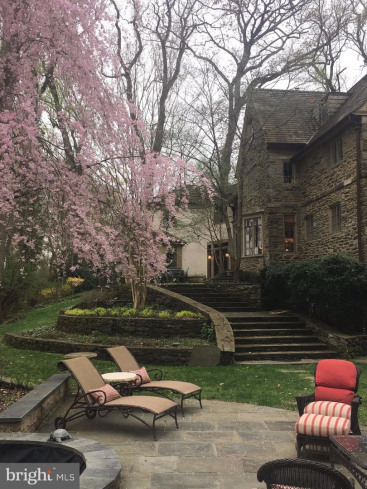 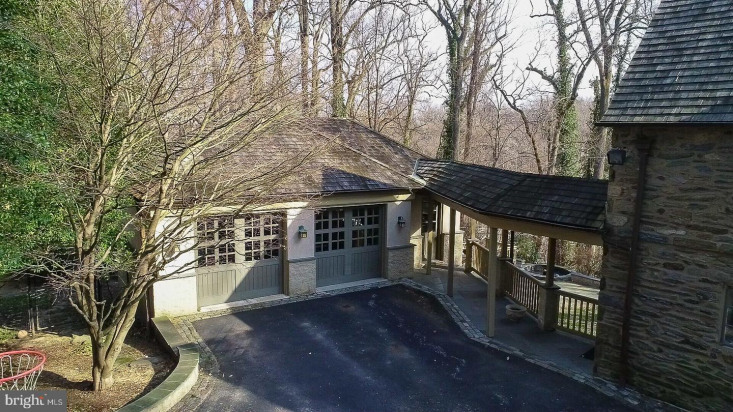 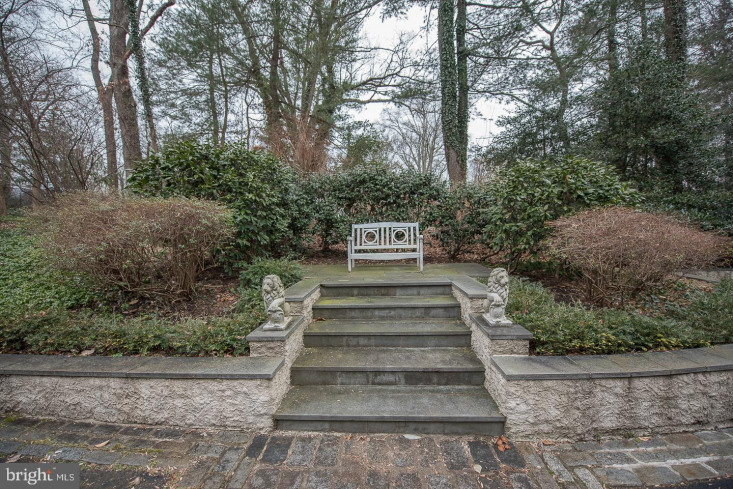 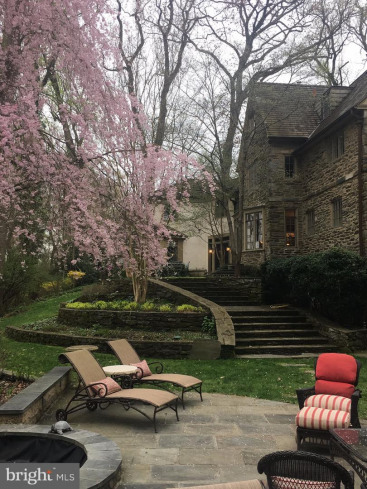 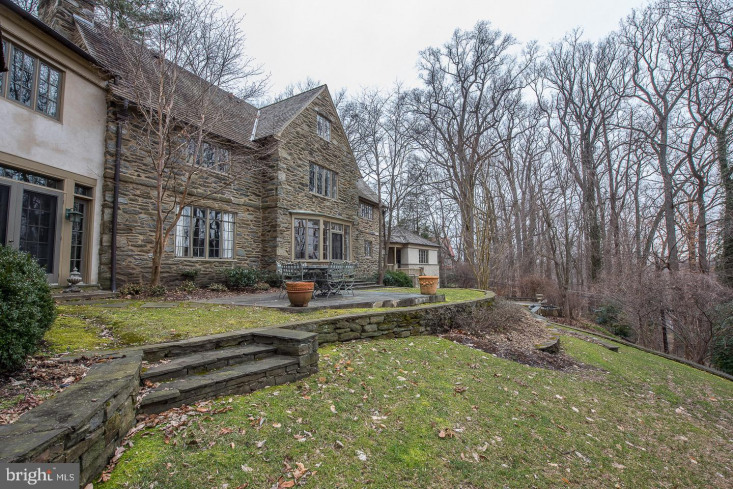 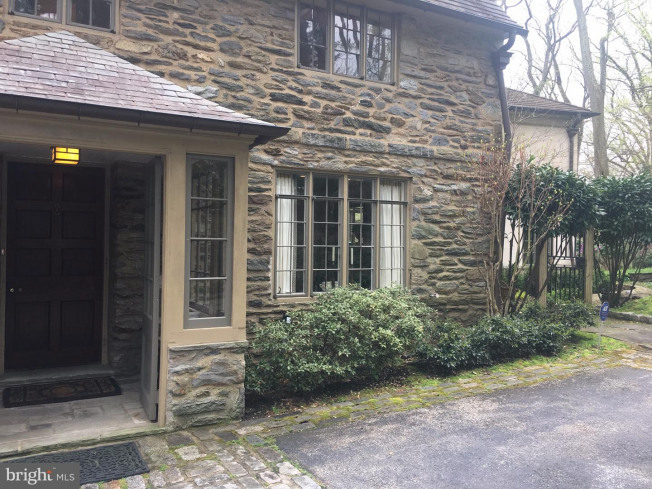 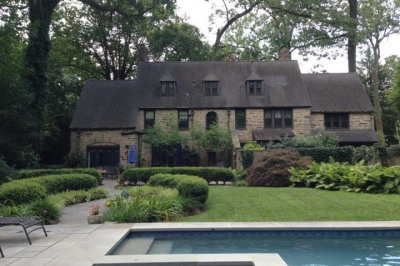 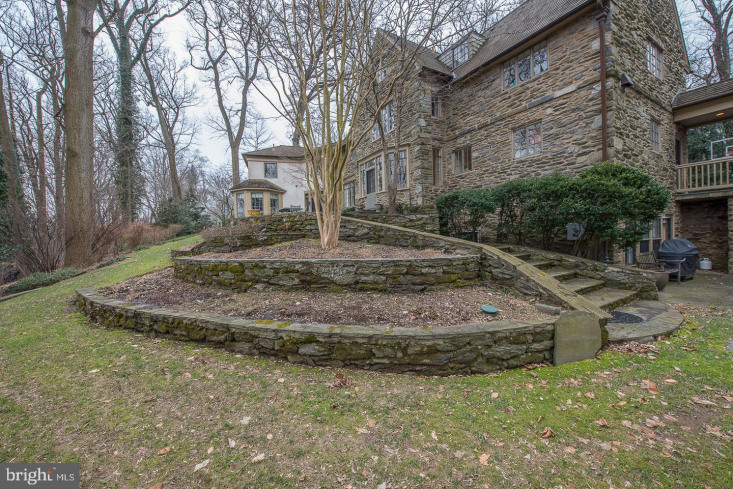 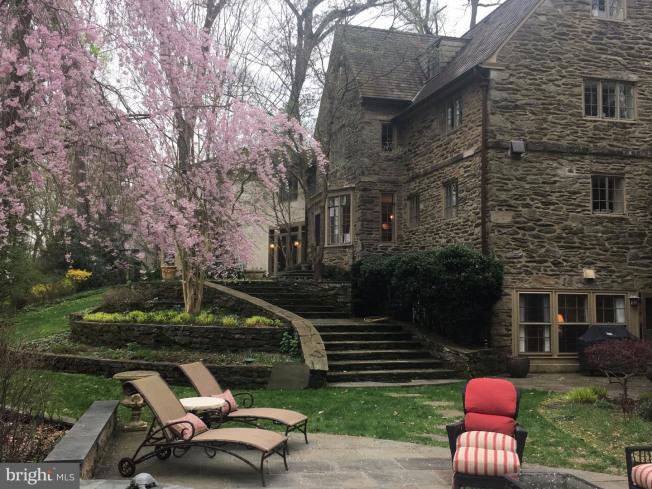 Extraordinary Stone Manor home sits at the base of a cul de sac on Evans Lane, a private lane in Haverford. 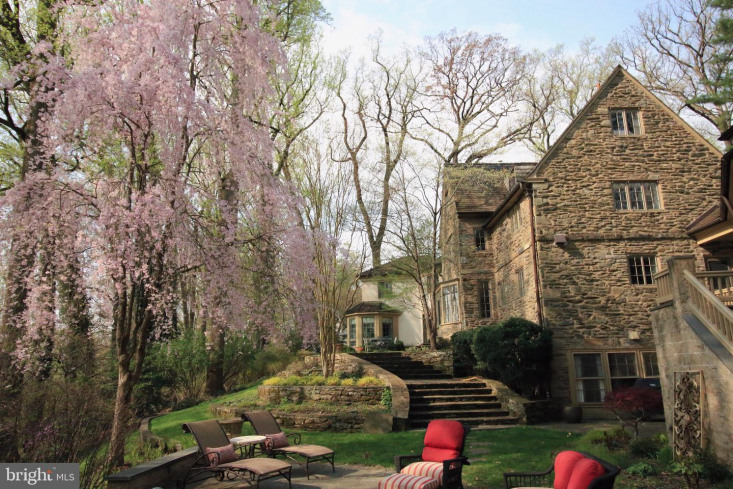 Mature manicured landscaping surrounds this lovely home. 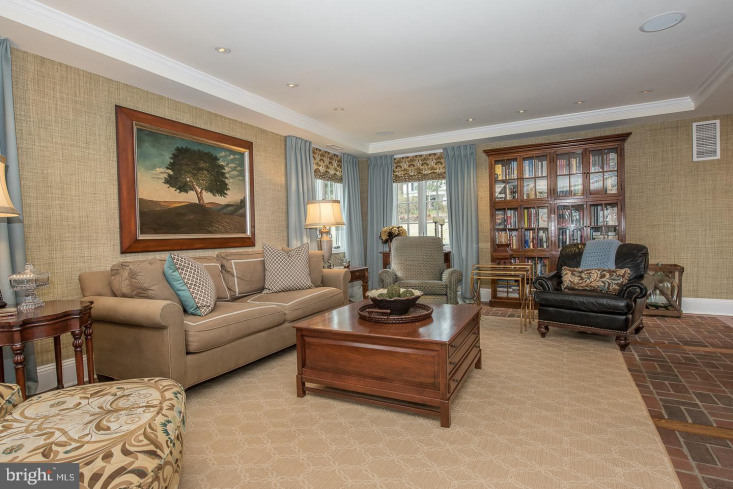 Many windows and doors provide an abundance of natural light and fabulous view of the surroundings. 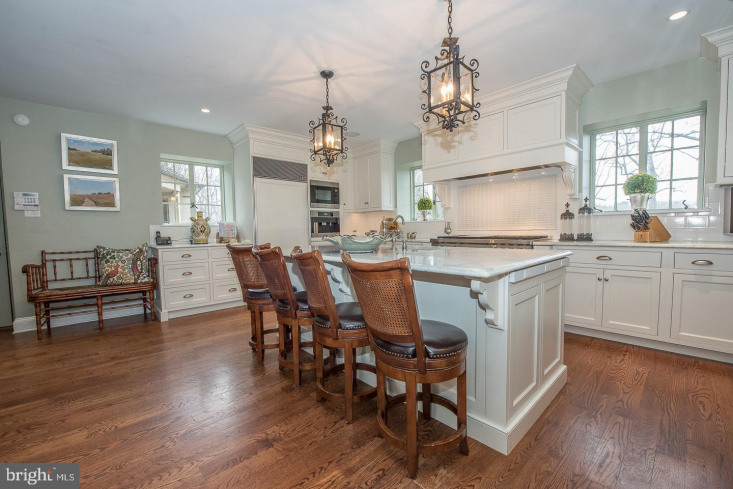 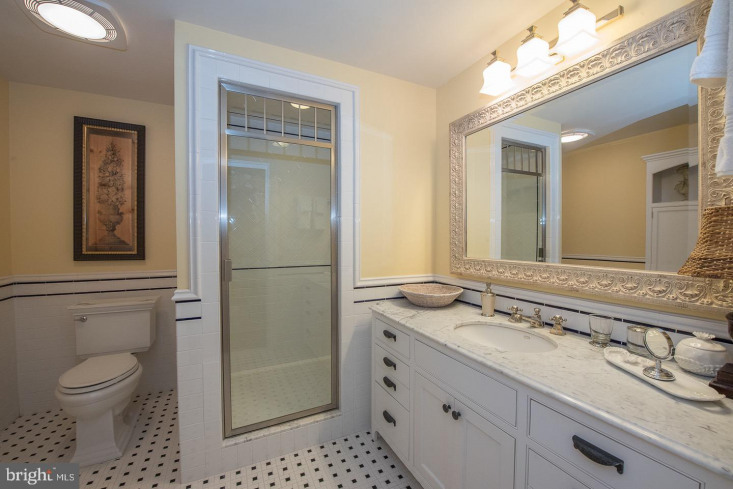 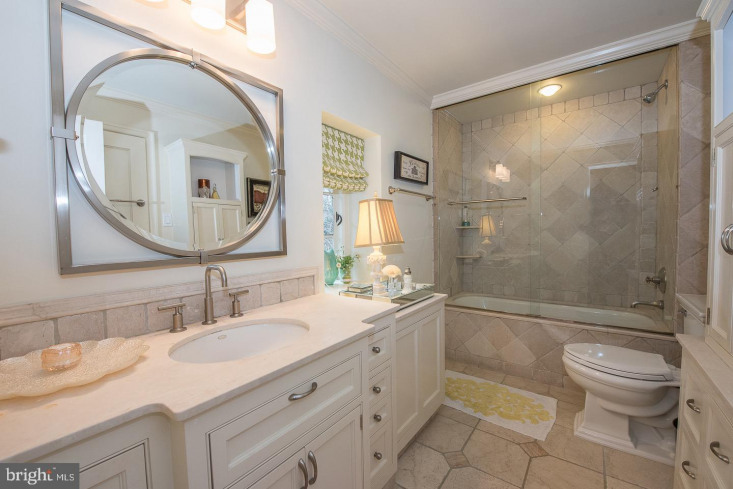 The kitchen and all bathrooms are gorgeous and all tastefully remodeled by the current owner. 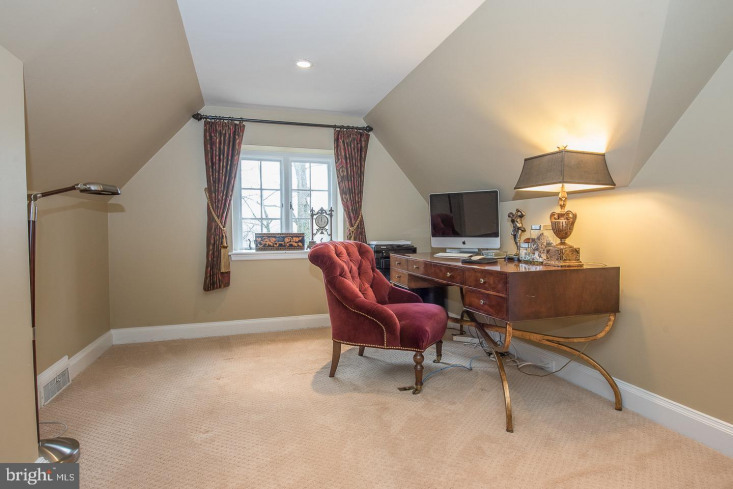 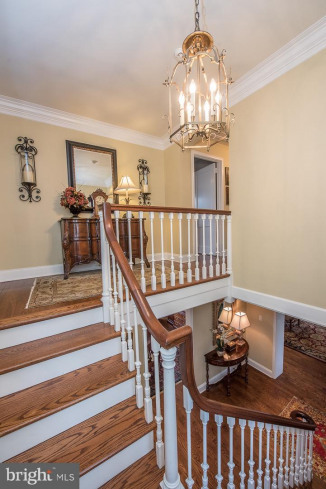 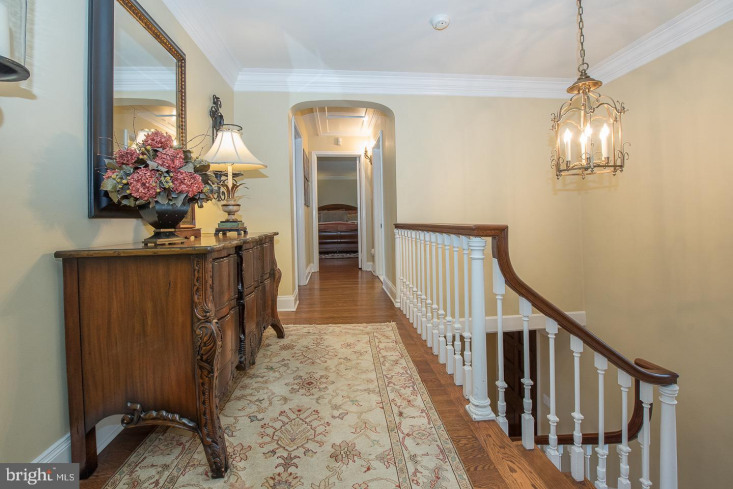 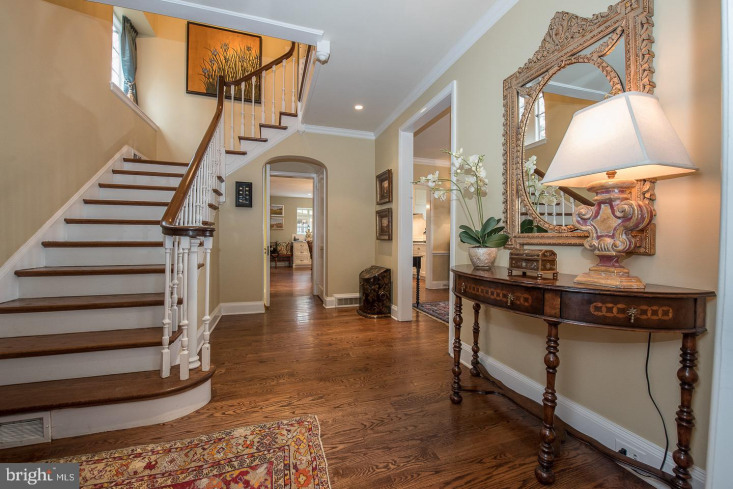 Enter into the foyer with a beautiful stairway, coat closet and powder room. 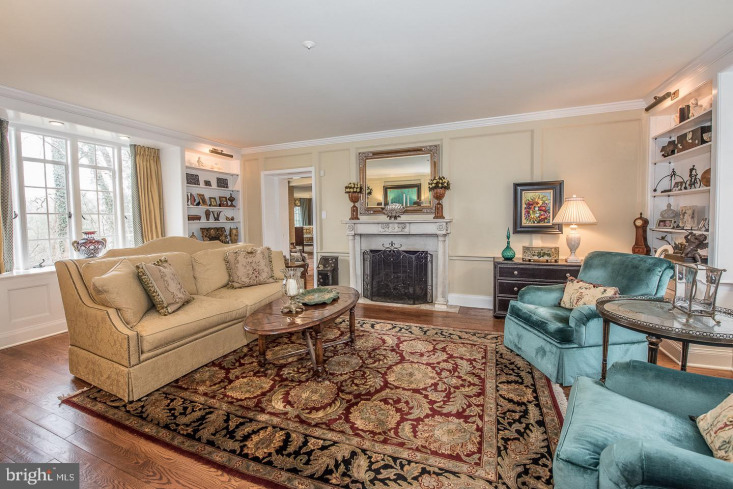 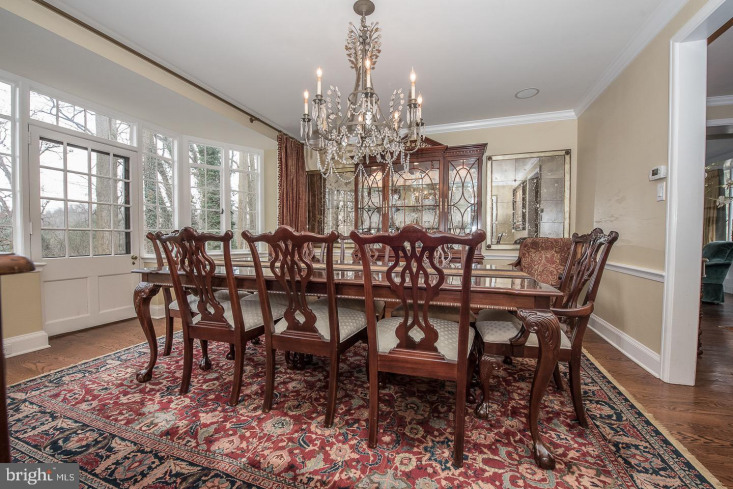 Warm newer Hardwood floors flow throughout and lead to the elegant but comfortable dining room. 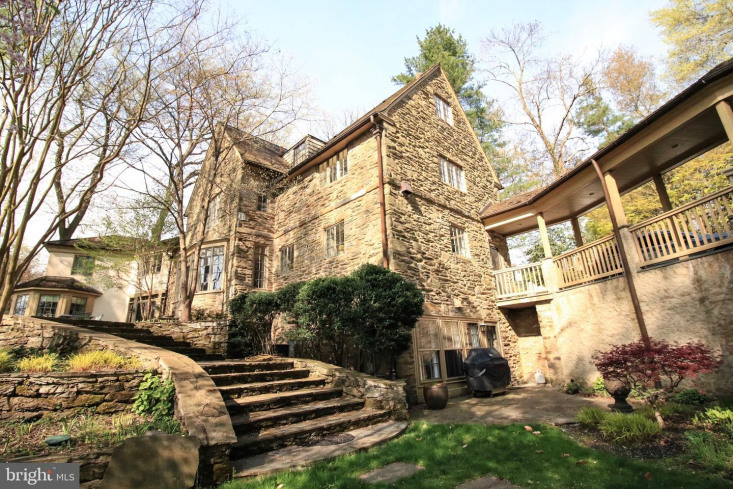 A wall of windows and a door overlook the fabulous outside gardens and a tree top view of the valley. 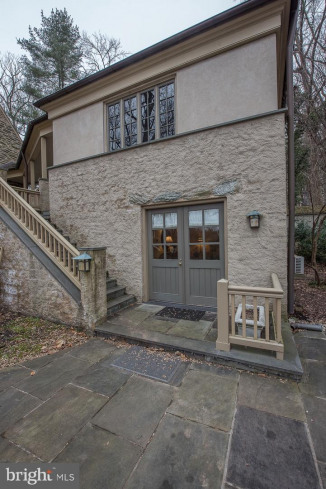 The door leads out to multi level flagstone patios, perfect for entertaining. 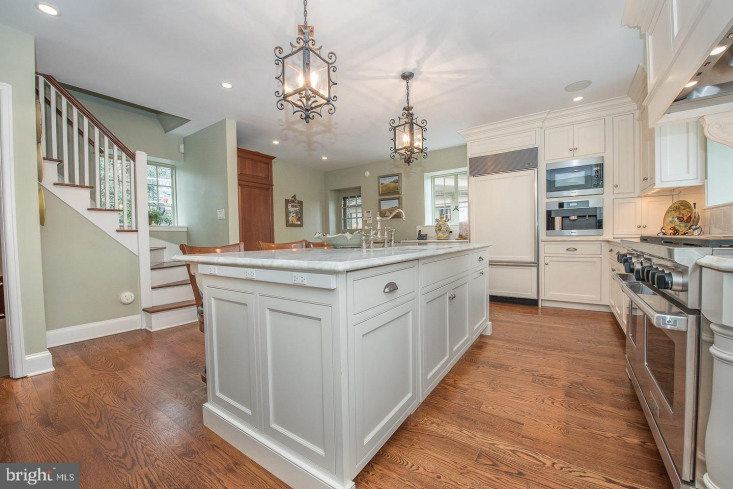 A gourmet kitchen boasts white Kountry Kraft cabinetry, Antartide Marble counter tops, and high end appliances. 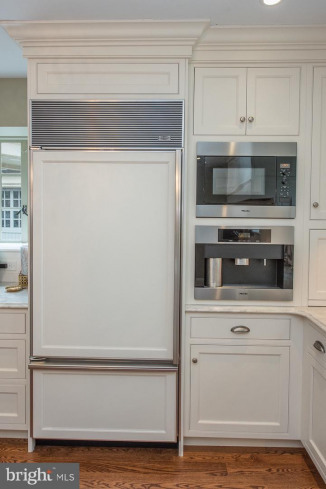 Built in Sub zero refrigerator, built in Miele Express coffee maker, built in microwave and a gorgeous 42" Wolf stove with 6 gas burners and a griddle area. 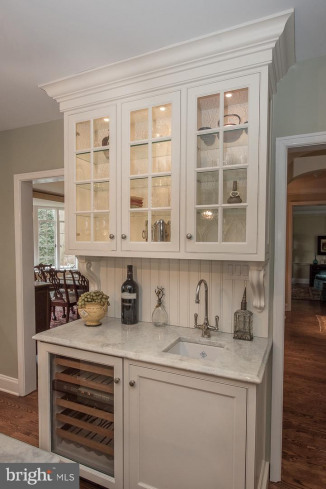 An entertainment/ butler's pantry area offers glass door cabinets, a sink and a beverage refrigerator for your convenience. 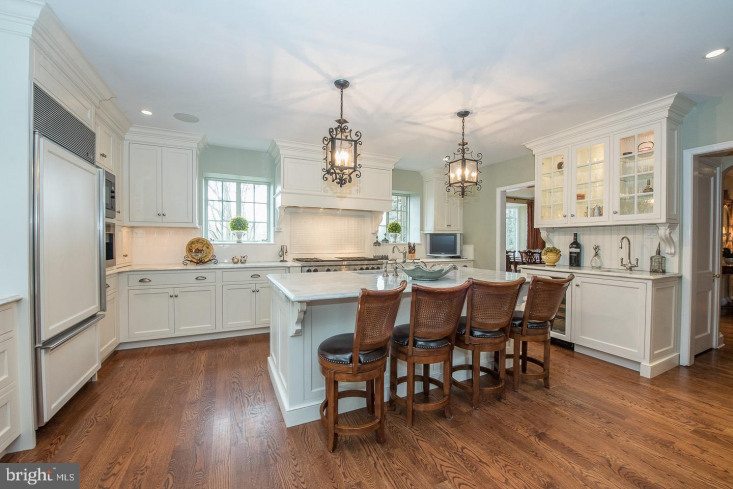 A wonderful kitchen that is both beautiful and easy to use. 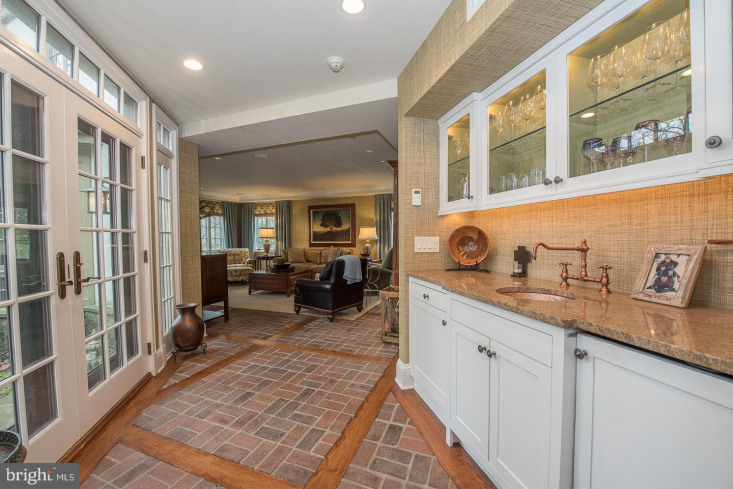 Large windows and recessed lighting keep this room filled with light. 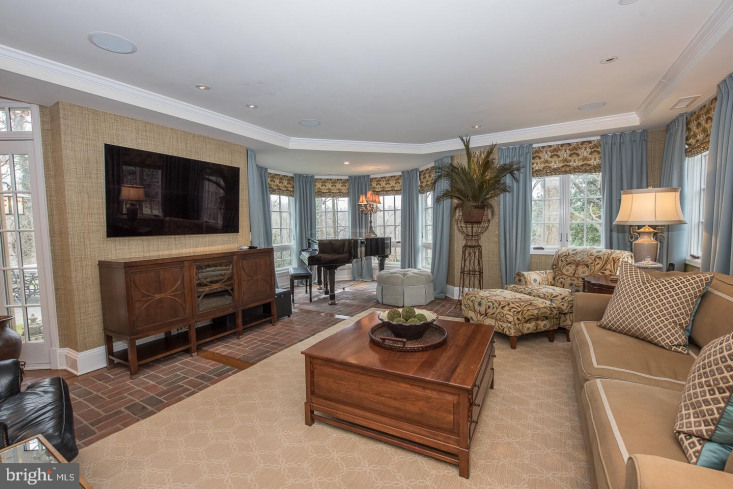 The living room is quite lovely with many built-ins and windows on each side, it leads to the hall with another entertainment area that includes glass cabinetry, a wet bar and a beverage refrigerator. 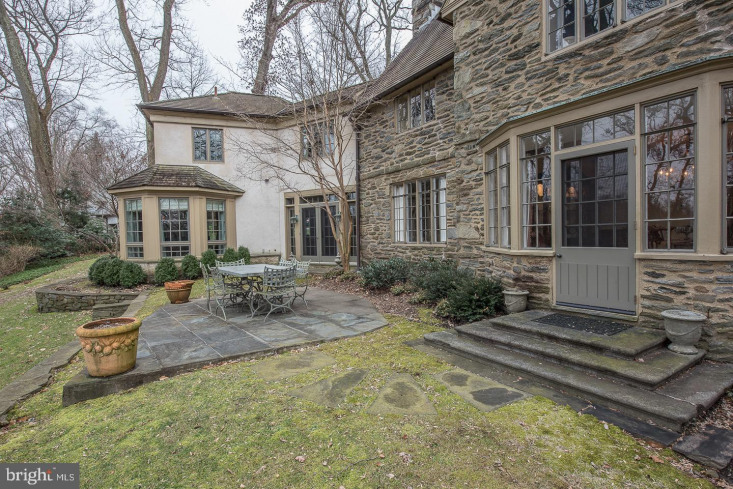 This hall has a whole wall of windows and french doors that lead out to the flagstone patios and gardens. 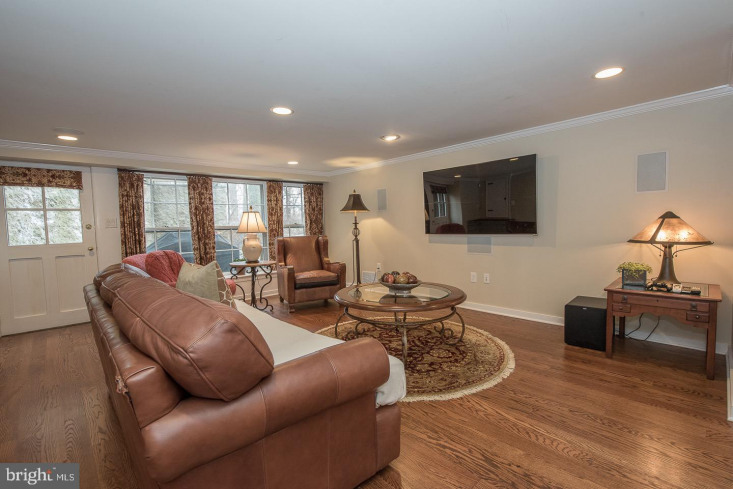 It also opens to the wonderful and spacious family room. 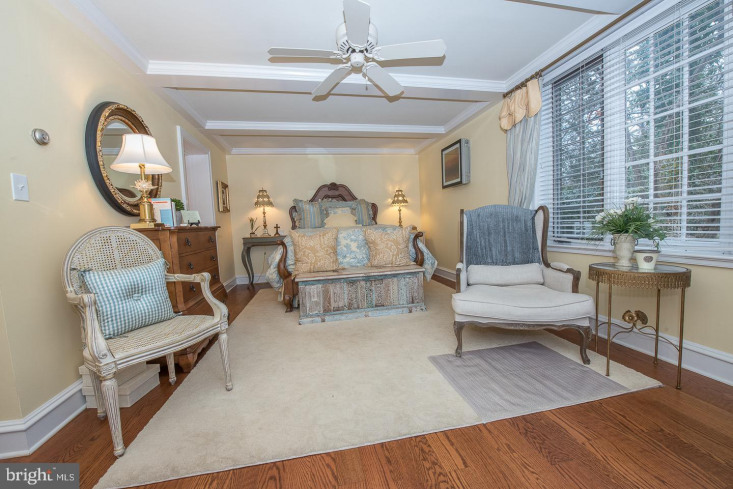 Heated wood and brick floors keep this room always feeling cozy. 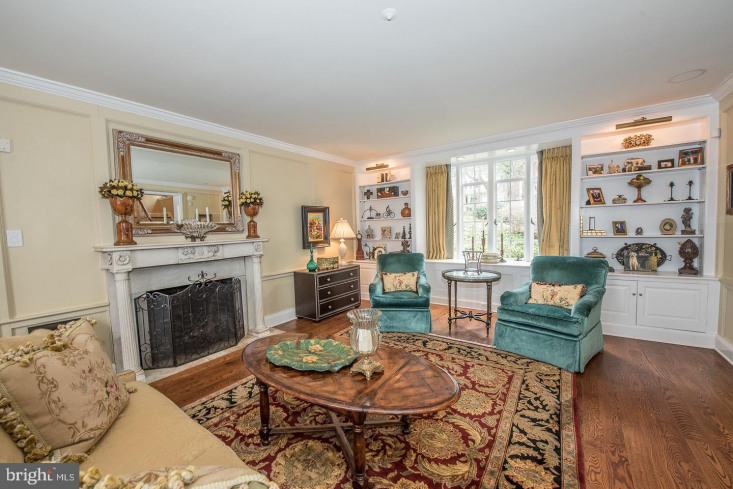 Windows all the way around and a special alcove that currently houses the owners piano but could also be a sunny, comfortable place to relax. 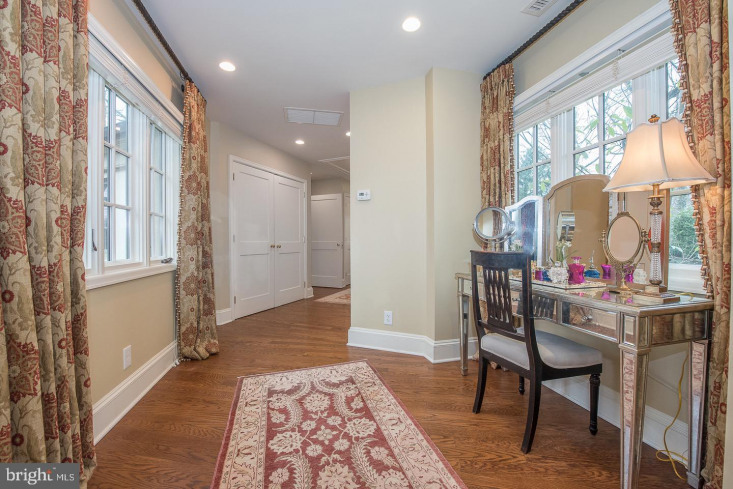 On the second floor you'll find a wonderful Master Suite with multiple closets, dressing room and a sumptuous Master Bathroom. 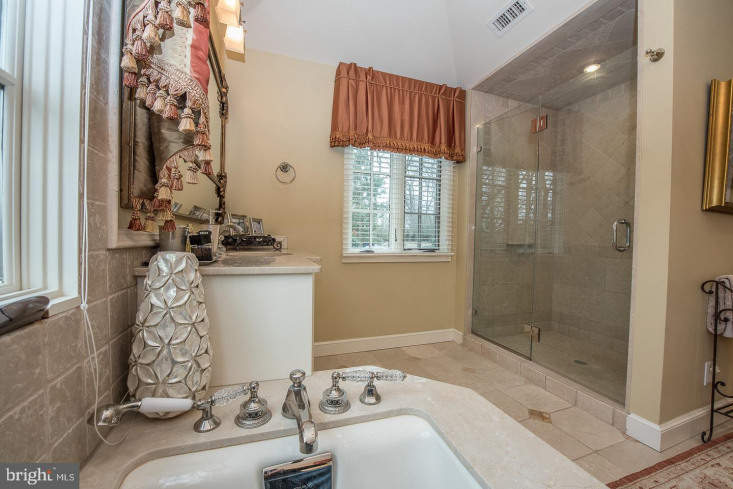 A soaking tub and an oversize shower complete this suite. 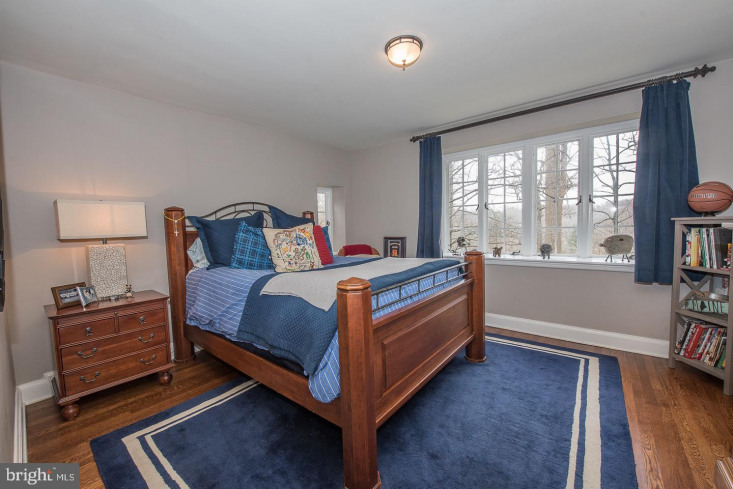 2 additional bedrooms, each with a walk in closet and 2 full baths complete this level. 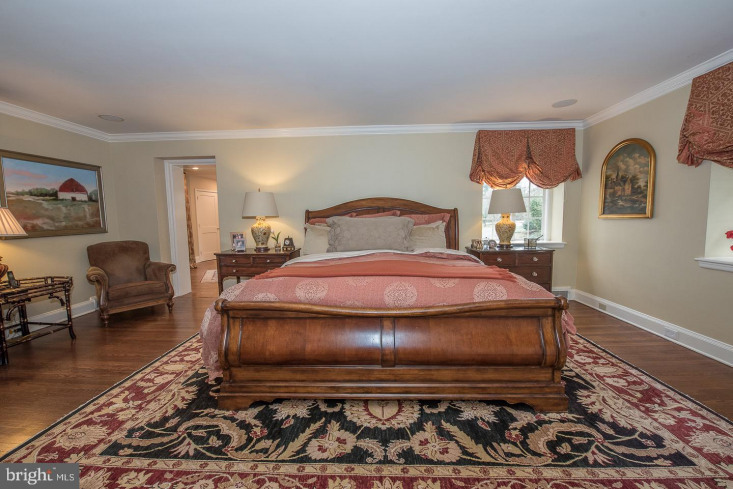 3rd floor has 2 bedrooms and a full bath. 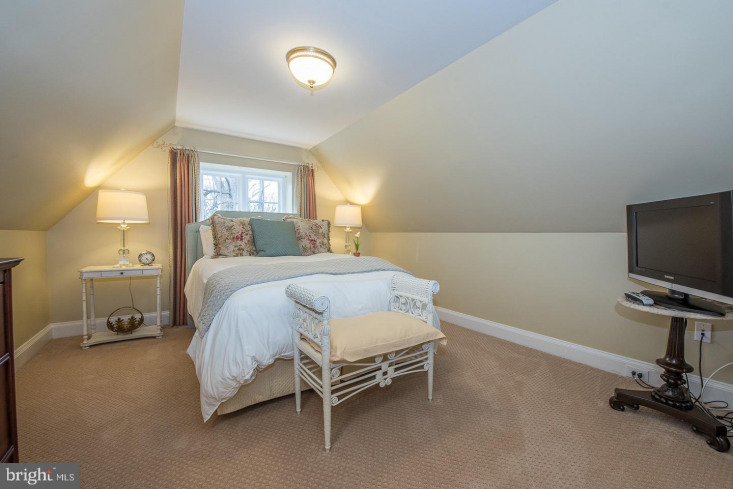 Great attic storage. 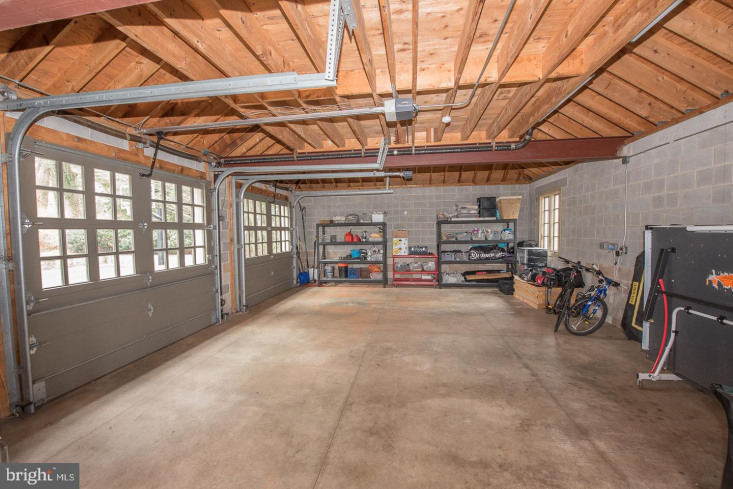 The lower level has a finished recreation room with a wall of windows and a door out to the large flagstone patio. 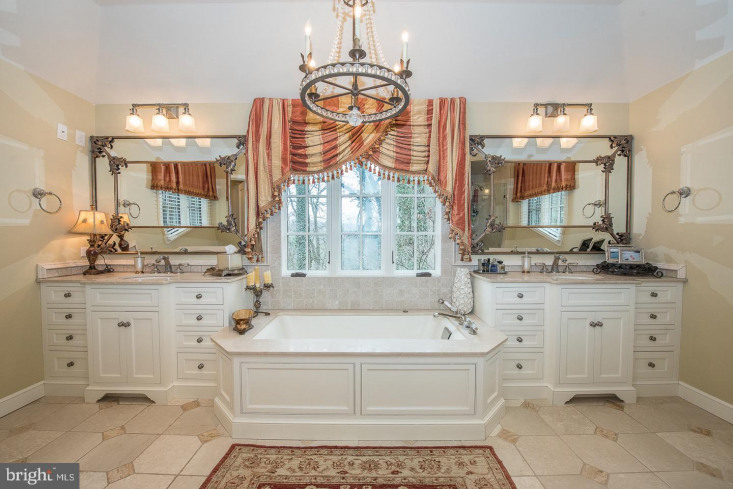 A second laundry area is on this level. 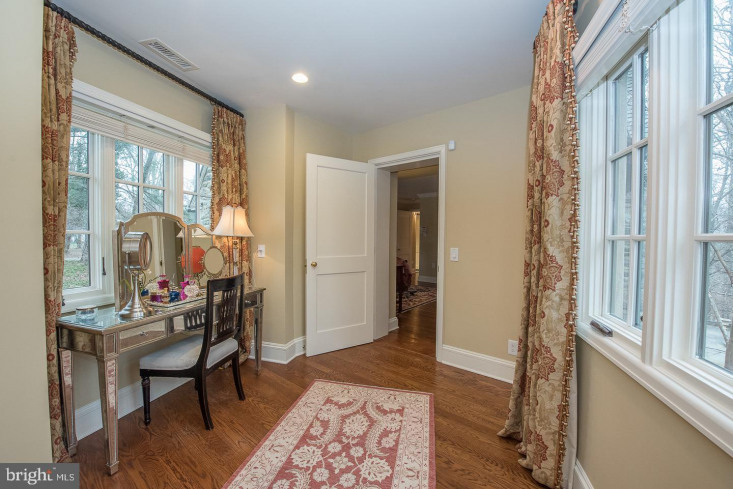 Walking out this door and across the patio you'll arrive at the guest suite- very lovely with it's own heat and air conditioning as well as a large closet and full bathroom. 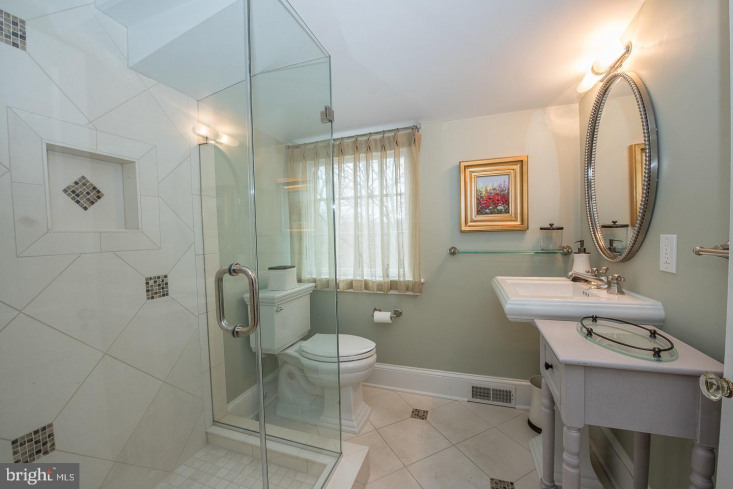  This home has been extremely well cared for and updated throughout by the current owner. 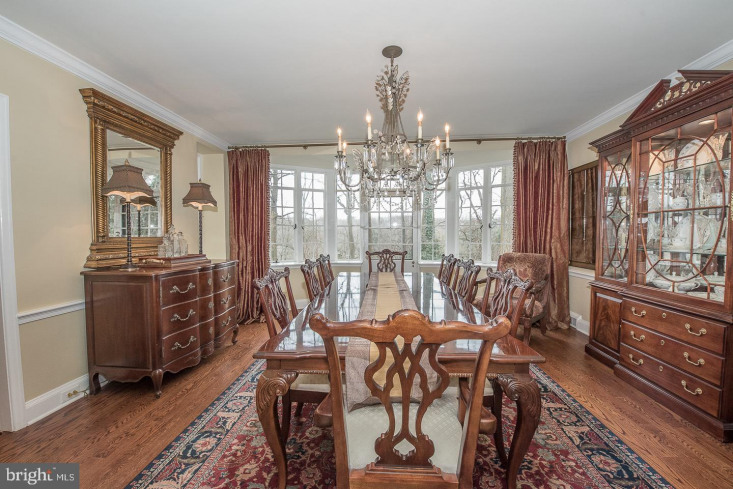 Charming, elegant and fabulous location.